a two-day intensive writing workshop held in Seattle this June. The workshops will bookend the Locus Awards weekend. Friday, June 24, 2016, 12:00 p.m. to 5:00 p.m.
Sunday, June 26, 2016, 10:00 a.m. to 4:00 p.m. THE WORKSHOP IS SOLD OUT, THANK YOU! How do you grab the attention of the reader on the first page? What makes a hook line great? For the first couple of hours, we’ll talk the nuts and bolts of clean, intentional writing, and then we’ll move into the mechanics of a proper hook line, and we’ll end by going over first pages from the class. Why do some stories dazzle you and others just lie there on the page like a limp dishrag? Because they need more than just good characters and careful plotting–they need razzle dazzle. Great stories show you things you’ve never seen before, places you’ve never imagined, people who leap off the page. They make you laugh, make you gasp, make you cry, and keep you on the edge of your seat! And we’re not just talking spectacle and special effects here–quiet, interior stories need exactly the same things. Connie Willis will show you how to add razzle-dazzle to your work by heightening contrasts, intensifying characters, making metaphors literal, and using techniques like callbacks, irony, and upping the ante to ratchet up the tension and make your writing into something really special. For more details about the Locus Awards events, ticketed separately, visit the Locus Awards Weekend site. Workshop location and other details will be emailed after registration. Location is in Seattle, WA, near the Locus Awards. Additional questions? Please e-mail Locus. Connie Willis is the critically acclaimed author of Doomsday Book, Passage, To Say Nothing of the Dog and Bellwether. Willis has been awarded eleven Hugo Awards, eleven Locus Awards and six Nebula Awards. Her stories have an epic feel to them and range from laugh out loud funny to deadly serious. Her keen observations illuminate the humor, love, and redemption found in both the comic and the tragic. Celebrated as a humorist with spot-on comic timing, she also uses her fiction to examine larger questions: the nature of God, the persistence of suffering and loss, and the role of love and redemption. Willis most recently won a Hugo Award for her books Blackout and All Clear (August 2011). 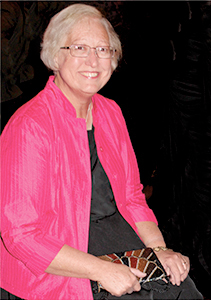 She was inducted to the Science Fiction Museum and Science Fiction Hall of Fame in 2009 and received the Damon Knight Memorial Grand Master Award in 2011. 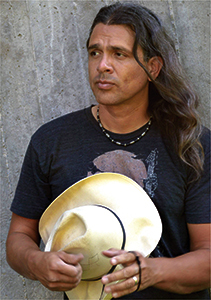 Stephen Graham Jones is the author of, so far, fifteen novels and six story collections. He writes horror and science fiction and literary and experimental and fantasy and in between all those. Stephen has won the Independent Publishers Award for Multicultural Fiction, the Texas Institute of Letters Jesse Jones Award for fiction, an NEA fellowship in fiction, and he’s been a Shirley Jackson finalist and Bram Stoker Award finalist a few times, as well as showing up on Bloody Disgusting’s Top Ten Novels of the Year. Stephen has some two hundred and fifty stories published as well. His work has been featured on Tor.com, at Clarkesworld, in Asimov’s, Cemetery Dance, Weird Tales, a few textbooks, and fifty-plus anthologies, including multiple appearances in the best of the year annuals. Raised in West Texas, Stephen now lives in Boulder, Colorado, where he reads comic books, goes to horror movies, scours junk yards for old truck parts, and shoots arrows into various things. He teaches in the MFA programs at CU Boulder and UCR-Palm Desert. His next book is the werewolf novel Mongrels, from William Morrow (May 2016).